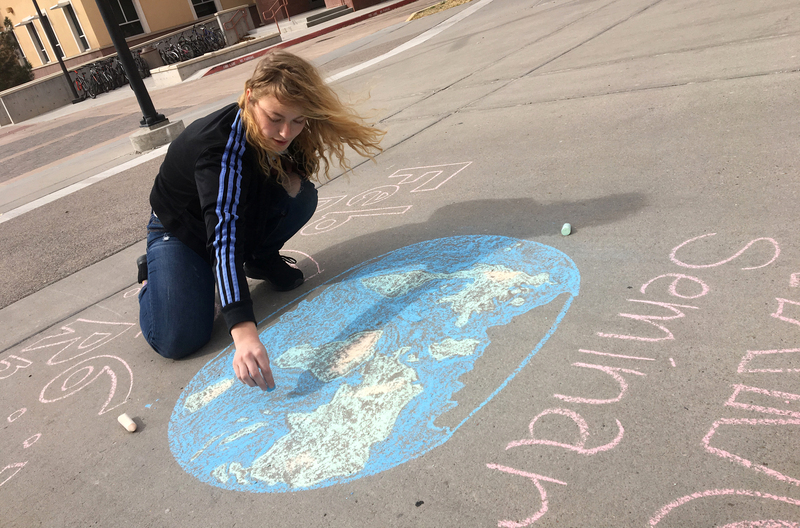 The NMSU 2018-2019 Climate Change Education Seminar Series will continue Wednesday, Feb. 6, with a presentation titled “Barriers to Public Acceptance of Climate Science, Impacts and Solutions.” Katharine Hayhoe, an atmospheric scientist at Texas Tech University, will lead the talk via interactive video feed at Domenici Hall. 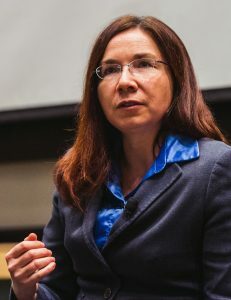 Hayhoe has received numerous honors for her efforts to expand the scientific understanding and public awareness of climate change. She was named one of TIME’s 100 Most Influential People, Foreign Policy’s 100 Leading Global Thinkers, and one of Fortune magazine’s 50 World’s Greatest Leaders in 2017. “We’re thrilled that the Las Cruces community will have the opportunity to hear from and talk to one of the world’s preeminent climate scientists and one of the nation’s leading voices addressing this critical threat to the planet’s health and our children’s future,” said Gary Roemer, a professor in the NMSU Department of Fish, Wildlife and Conservation Ecology. Hayhoe’s talk is part of the NMSUCCESS seminar series that began in spring of 2018. The series focuses on climate change, including the physical processes and effects on humanity and biological systems. The series’ goal is to shine light on research and issues related to climate change for a local audience. The series will feature three more speakers in the coming weeks following Hayhoe’s talk. Roemer is a co-organizer of the series along with NMSU geology professor Reed Burgette and other NMSU faculty and community members. “We hope that the speaker series will lead to future collaboration at NMSU,” Burgette said. Hayhoe’s seminar will delve into the psychological, societal, political and economic issues that have long dominated the conversation surrounding climate change. Hayhoe, who is an evangelical Christian, will also discuss ways to move beyond divisive conversation in order to better address the challenges that climate change itself presents. Hayhoe was one of the lead authors for several chapters in the U.S. Global Change Research Program’s Fourth National Climate Assessment, which released a second volume in late November. The 1,656-page report, which was ordered by Congress, warns of the dire consequences of inaction on climate change, including damages that could reduce the nation’s gross domestic product by up to one-tenth by 2100. Hayhoe, who has made numerous national TV appearances and starred in the eco-documentary titled, “Years of Living Dangerously,” was thrust into the limelight during the 2012 U.S. presidential campaign after news broke that she wrote a chapter on climate change for a book by presidential hopeful Newt Gingrich, only to have Gingrich cut the chapter from his book before it was published. Hayhoe has indicated she prefers to give presentations via interactive video as a means of minimizing her carbon footprint. Publisher’s note: Portions of this story were taken from a press release written by Matthew Legaretta of University Communications and Marketing Services.